Whether you’re new to Medicare or a seasoned beneficiary, pay attention to these Medicare issues during the annual open enrollment period. Each year, Frank Nelson issues the same advice to seniors living in California’s North Bay region counties: When you start seeing Halloween decorations pop up in stores, it’s time to reevaluate your Part D Medicare coverage. As the regional program manager at the Health Insurance Counseling & Advocacy Program (HICAP), Nelson works to educate Medicare beneficiaries about the Medicare open enrollment period. For Part D coverage starting in 2018, open enrollment—the time the federal government sets aside for those who are already enrolled to make changes to their Part D plans, which then take effect on Jan. 1—is Oct. 15 to Dec. 7. Note: If you’re just turning 65, you can enroll for Medicare Part A and B benefits three months before your birth month, during your birth month or three months after. 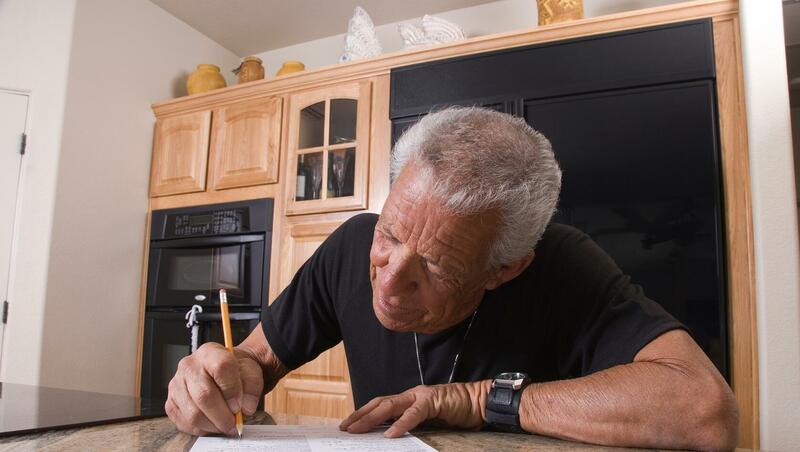 Nelson helps provide assistance and outreach to Medicare beneficiaries who have questions about coverage or are overwhelmed by details and possible Medicare issues. Every state has a State Health Insurance Assistance Program, funded by the federal government. In California, the program is known as HICAP and is organized as a statewide network of nonprofit organizations, authorized by state legislators and run by the California Department of Aging, to provide the public with free information and advocacy. Whether you’re new to Medicare or a seasoned beneficiary, it is important to understand how Medicare works and how it can help you, particularly during the annual open enrollment period. Follow these simple tips to get started. The most common questions Nelson hears stem from prescription drug coverage. Medicare Part D (a prescription drug plan offered by Medicare-approved insurance companies) can change from year to year. Medications that were covered one year may not be covered the next. Part D plans should be specific to your medication needs. During open enrollment, call your Part D provider to make sure your prescriptions are still covered. If they’re not, Nelson suggests visiting Medicare.gov and searching for your specific medications or meeting with a HICAP representative to help. Your prescription coverage isn’t the only thing in a constant state of flux. Pharmacies are just as unpredictable. When you choose a plan, you can go to the pharmacy of your choice, but the prices and availability of medications are often different, depending on where you go, since your insurance company may have a different contract with each pharmacy. Three different chains might charge three different prices for the same medication. The best way to stay on top of your drug coverage is to go to Medicare.gov each year during open enrollment and search for your specific prescriptions, plan specifications or pharmacy options, Nelson says. You can also contact a prescription assistance program for help. If you’re enrolling in Medicare, consider purchasing a Medigap policy through a private health insurance company. Medigap supplemental plans pick up a number of health care costs that aren’t already covered by Medicare (from hearing aids to routine vision care). The government standardized Medigap offerings in 1992, so the benefits are the same for each type of plan no matter which insurer you choose—but premiums vary greatly from company to company. “Medigap plans are standardized, so you’re shopping for price and level of service,” Nelson says. The best time to buy a policy is during your six-month Medigap open enrollment period—which starts automatically the month you turn 65 and enrolled in Medicare Part B. During that time you can buy any Medigap policy sold in your state, even if you have health conditions. After the six months, you may not be able to buy a Medigap policy. If you're able to buy one, it may cost more. You may be healthy at 65—but don’t assume you’ll stay in good health forever. Given the potential for future health issues, it’s smart to consider comprehensive health coverage, says Rick Appleby, program support analyst at the San Francisco Department of Aging and Adult Services. Offered by private insurance companies and regulated by Medicare, Medicare Advantage plans cast a wide safety net for seniors. They offer greater benefits, such as preventive services; inpatient and outpatient hospital care; and vision, dental, hearing and prescription drug coverage. Though some of these services might seem like “extras,” they could end up enhancing your quality of life. Whether you choose Medigap or Medicare Advantage is a matter of personal preference, and one’s individual circumstances and geographic location, says Janet Van Deusen, program manager of the Alameda County HICAP in Alameda, California. She provides legal assistance for seniors and explains that Medigap policies tend to have higher premiums but greater flexibility, while Medicare Advantage plans have lower premiums but often require you to stay in network. If you still have questions and need some guidance, you can turn to your local senior center or adult services agency for help. Senior centers in California may redirect you to your local HICAP, so it may be faster to call your local SHIP program office directly and set up a counseling session with a Medicare expert. There are tools in every county that provide support and advocacy. Visit Medicare.gov online for a quick list of resources on Medicare. “If you’re web-savvy, sometimes an internet search can be very helpful to fill in the blanks,” says Appleby.